Lost amid all of the hoopla of the NFL’s triumphant billion-dollar return to Los Angeles is a hazardous waste cleanup story featuring the former toxic waste dumpsite that almost won the bid to be a shiny new NFL home in Carson, California. The proposed Carson site was presented as a rival bid to Stan Kroenk e’s winning proposal from Inglewood and received the formal recommendation of “The NFL Committee on L.A. Opportunities,” a six owner panel. The 157-acre site located along the 405 Freeway that was proposed by the Oakland Raiders and the San Diego Chargers to house both teams is the former home of the notorious Cal Compact landfill. The site operated during a period of minimal environmental oversight when the dumping of toxic waste was an afterthought, a six-year period that has impacted the site for decades. According to a January 2008 DTSC Fact Sheet cleanup on the site will be costly. 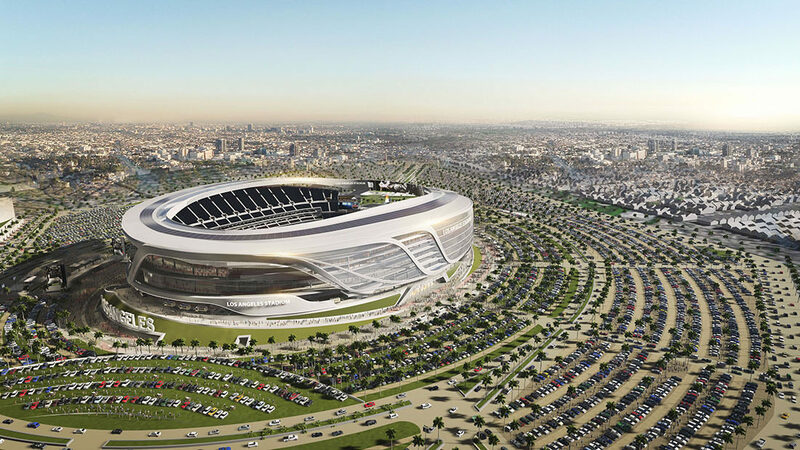 While not publically stated anywhere, one can’t help but speculate that the NFL owners’ decision to reject the Carson proposal is in part tied to the history of the land, and the costly steps required to get it prepared for the massive stadium construction process. The effects of those six years of indiscriminate hazardous waste dumping back in the early 1960’s are still being dealt with more than 50 years later, making the reuse and redevelopment of the Carson site costly and troublesome. Probably too troublesome for the NFL. This story of the failed Carson proposal once again highlights the need for stringent regulations and effective processes for the handling and disposal of hazardous waste. Saving a few bucks and trying to skirt government regulations with the handling of hazardous waste does not pay off in the long run. While no one at Cal Compact broke the law during its period of operation, because the laws did not exist at that time, regulations were needed for hazardous waste disposal in Los Angeles and enacted shortly thereafter, changing the business landscape forever. Two landmark incidents paved the way for United States environmental reform. For a historical perspective on America’s hazardous waste history take a look at our two-part series featuring articles on “The Cuyahoga River Fire,” and “The Love Canal” to learn about the man-made disasters that brought about the regulations that we deal with today. They were born out of a response to the careless handling of toxic chemicals and its impact on our working and living environment.